So, I planned on blogging about something else entirely tonight, but when I was reading my blog feed, I saw something that I just had to share. I instantly fell in love with the jewelry that Monika creates over at MaaP Studio. Like, if I were slightly less responsible, I'd put off paying some bills just so I could own a piece from her and her husband's shop. 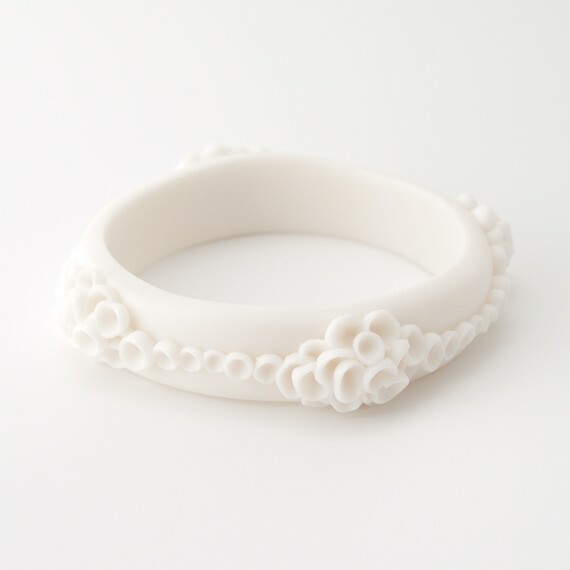 Monika uses porcelain to sculpt her jewelry, creating translucent and ethereal beauty. Each one of her pieces seems to evoke the feel of delicate flowers or an underwater paradise. Did I say yet that I am in love with this jewelry artist? Oh, I guess that I did. I just can't get over the color palette, too. All colors are very soft and muted, which just adds to the beauty of the pieces. 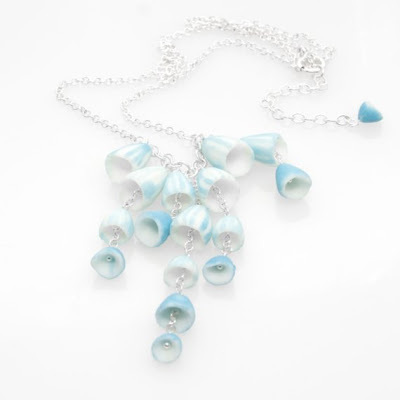 Soft cool blues, gentle corals, sweet pale yellows, and glowing white really make these pieces so sweet and delicate. Honestly, I usually wear black with splashes of brights, but I would totally rock these delicate colors. Ohmyfreakinggawsh, I need one of these pieces. So badly that I can barely handle it. 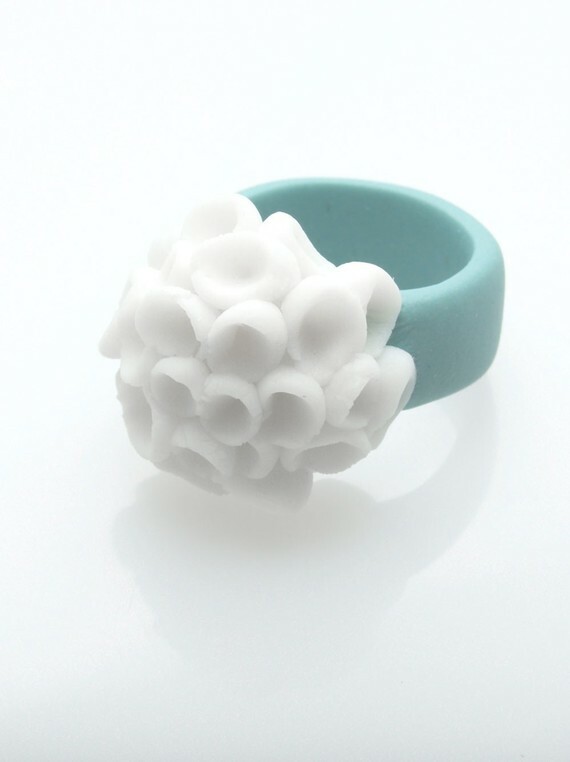 Luckily, Etsy Stalker has paired up with MaaP to have a giveaway for a gorgeous ring! Head over here to read more about Monika and her creative process, as well as a chance to win a piece of wearable art.